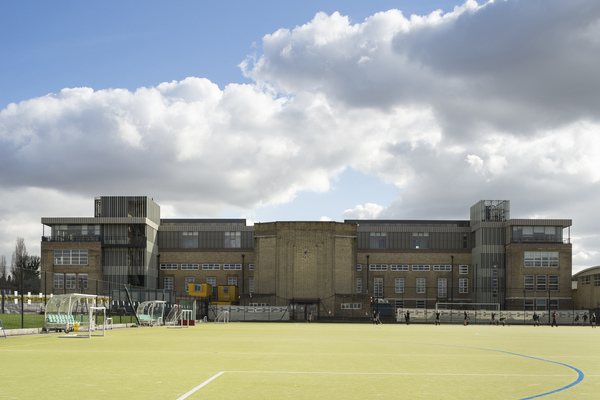 Sixth form centre extension on the top floor of the existing school. 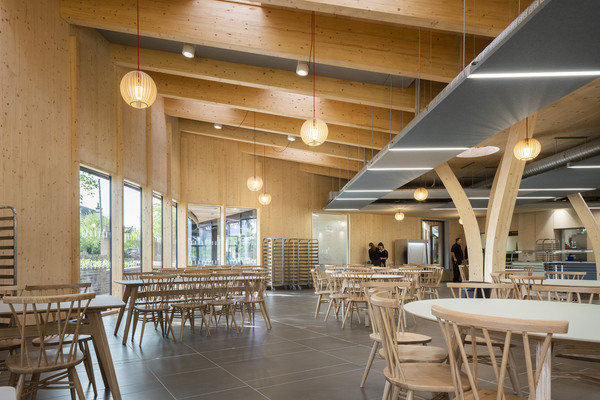 The second phase comprises a new-build ground floor extension featuring a new dining hall, a new entrance, internal refurbishments, reception facilities and landscaping. 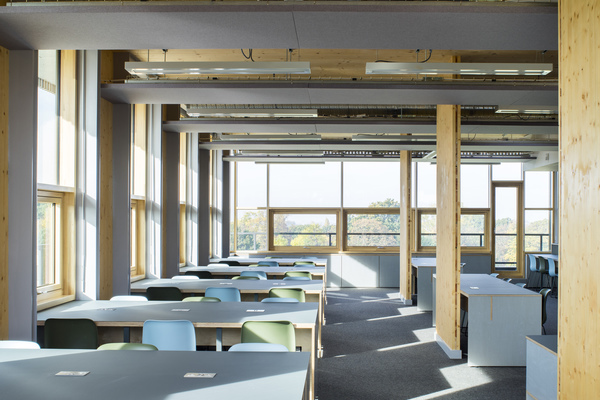 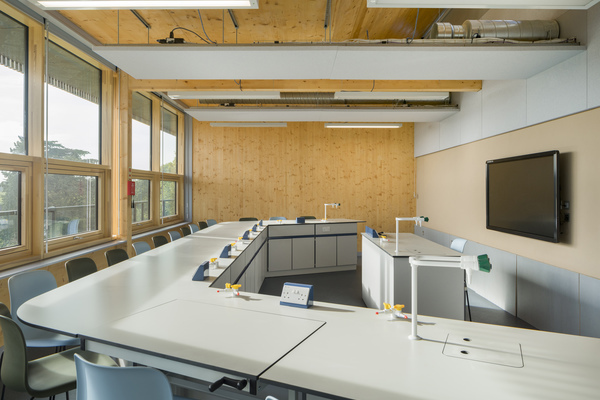 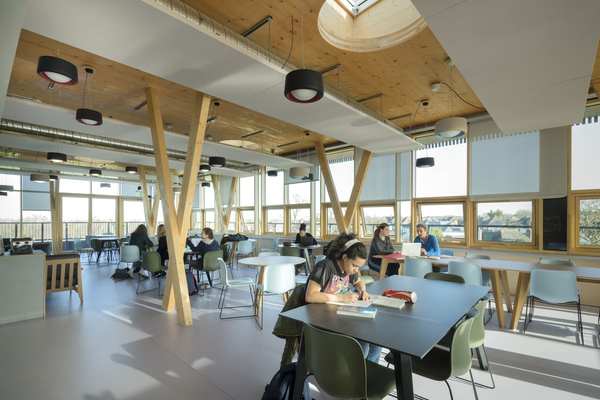 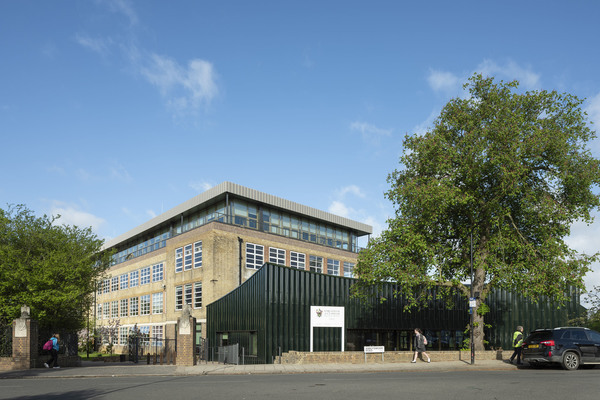 Our scheme comprises a major reconfiguration, refurbishment and extension for this school in South London. 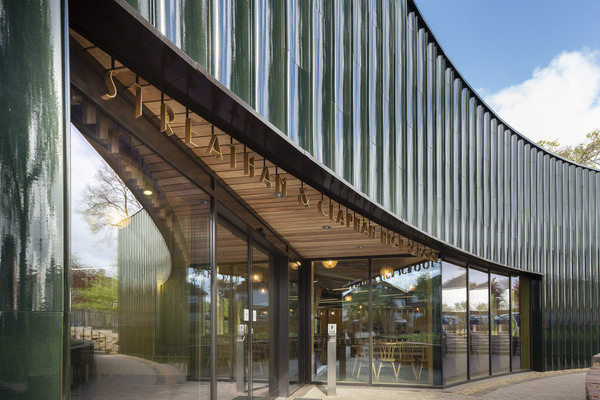 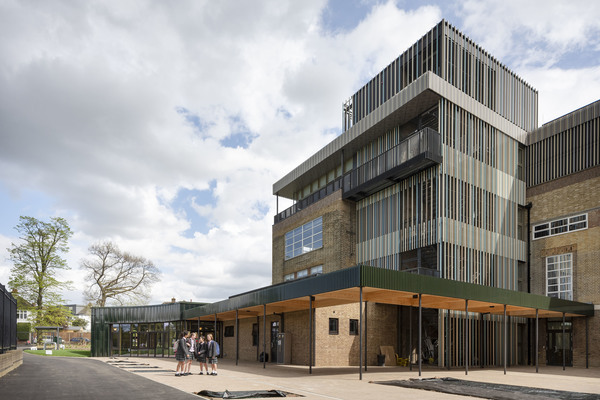 The development creates a new dining and entrance block that gives the school a dramatic new frontage, a new sixth form centre built above the existing building, a creative arts facility and a refurbishment of the school landscape. 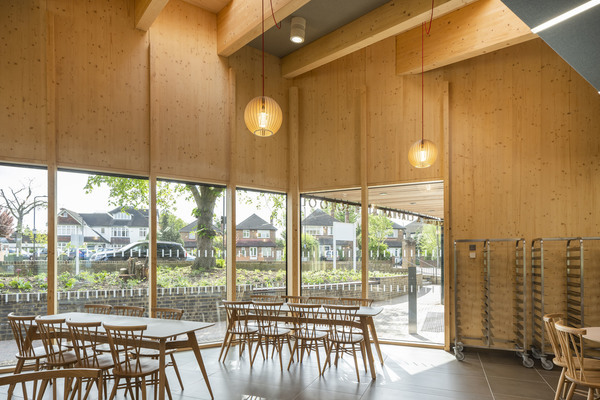 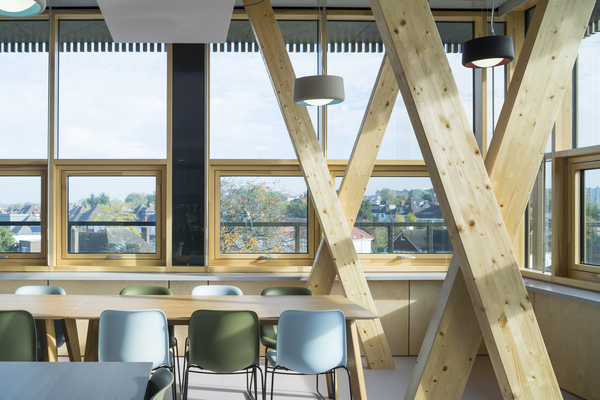 The new extensions respond architecturally to both the era of the original buildings and the location of existing mature trees.